< ?xml:namespace prefix = o ns = "urn:schemas-microsoft-com:office:office" /> This year, our school board embarked on School Improvement Networks as a method of building capacity and developing best practices at all levels of the organization. Our school was partnered with three others in our Community of Schools ~ all of varying school populations and school communities. In working with my colleagues, we wanted to ensure that our sessions were going to be meaningful for the teachers, as we appreciated that time out of the classroom is never ideal as our students do best when their regular teacher is working with them. We needed to find a common focus that would allow teachers from different schools and teachers with varying levels of understanding of the learning continuum “bond” on a variety of topics. Keeping the focus of our dialogues on student work, as a springboard for the activities, allowed teachers to share their stories more freely. Our goal was to “push” the discussion past the story swapping and past the mutual aid stage, to a place where teachers challenged each others’ thinking. Steven Katz’s video ~ “How do Networked Learning Communities work?” was a worthwhile resource to share with all teachers from JK to grade eight. In his discussion, he talks about the importance of building those relationships and ensuring that collaboration is focused. In order to facilitate that level of sharing, we needed to ensure that the stage was set for mutual respect and purposeful discussion. At the end of each session we always asked for teacher feedback and took that into consideration when planning our sessions. It became evident, through their comments, that teachers wanted time with each other to share work, to share strategies and to network. We developed an online sharing site, “Sharing Success” where staff could post lessons, ideas and strategies. As an administrative team of presenters, as we reflect on our year long networking sessions, we were pleased with the level of engagement and pleased with the fact that we saw growth in teacher practice at all of our schools. We also know that our own practice improved as we were afforded the opportunity to plan and present together and to work with staff members from different schools. For one of my system responsibilities, I’m a facilitator for our Emotional Intelligence workshops. This past Friday, we completed our final module, focusing on Decision Making, Problem Solving and Stress Management. We spent a great deal of the afternoon sharing our challenges as administrators and discovering ways to protect ourselves from the potential stressors in both our professional and personal lives. 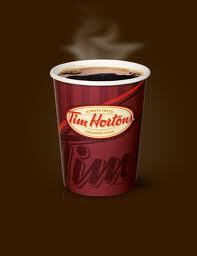 We laughed a great deal and took comfort in the fact that we are all in this together. 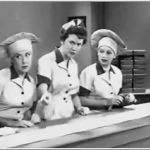 One of the video clips that I shared was a classic “I Love Lucy” sketch ~ I love Lucy Candy Factory Video. Although the initial intent of showing the video was to illicit laughter about a stressful situation, the audience reaction and subsequent observations led us to a deeper discussion about the effects of “management” on the worker and how that relates to us in education. I shared with the group that my connection to the video clip was that it reminded me of my progression in leadership. The beginning of the clip is how I felt as a VP in my first placement ~ I was able to head home at the end of the day, feeling as if my desk was cleared (all of my candies were neatly wrapped). As my admin career continued into my first principalship, the conveyor belt became faster and every now and then a few “candies” fell off the belt. Now, I find myself in a complex, exciting and unique building with over 750 students and 85 staff members. It is very rare that when I leave at the end of the day, I feel as if all of the “candies” are neatly wrapped and yet when our supervisors see us, we make it look manageable and hence the conveyor belt speeds up and we take on more challenges. We continue to learn and grow with each new challenge and our skills improve. I can’t help but reflect on those candies that are being neatly wrapped, those that are falling off the conveyor belt and those that I’m hiding in my hat….smile! I’ve just finished watching Drew Dudley’s Ted Talk , Leading with Lollipops and was inspired to share a few thoughts. Dudley reminds us how important we are to others. Each day we make the lives of others better by things that we say and things that we do. As educators we have the opportunity to make the lives of our students better, to make the lives of our colleagues better and to make the lives of our entire school community better. It’s amazing what a smile can do on a day that has been wrought with challenges ~ or an unexpected gift of a hot tea on a chilly day. As teachers we have the opportunity each morning to greet our students and begin their day at school with a fresh start, regardless of the home life they have. We have the opportunity during the day to inspire, encourage and motivate those around us. Ironically last week, I overhead a student, who was in the office say (although it was more of a yell), “Ms. X is the only teacher in this whole school who likes me”. He was talking about a teacher he had two years ago. That teacher was obviously handing out lollipops each and every day and she probably didn’t even realize the effect she had with that student. “It’s frightening to think that we matter that much to each other” quotes Dudley and how true is that statement? By embracing what Dudleyis saying, it forces us to choose our words and deeds carefully. 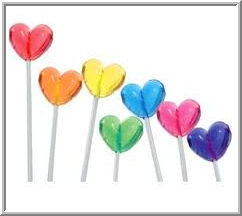 What are the figurative lollipops that you pass out each day? 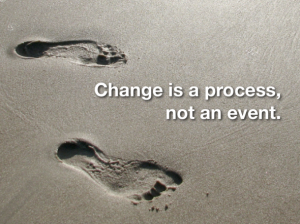 A few weeks ago I read a quote on Twitter which resonated with me ~ “Change is inevitable, growth is optional”. In education, we are always in a state of change as we continue to meet the ever changing needs of our students and their families. As I reflect on my own teaching career, there are so many more innovative ways to engage our learners; everything from technology to research about multiple intelligences to new resources. As I reflect on my career in administration, we are also embracing change as we purposefully work together in Networks to improve student learning by focusing on teacher practice. We are becoming more intuitive about how best to use data to support our school based goals and improvement plans and the list goes on…. I shared the above quote at a staff meeting, prior to a discussion about staffing for the upcoming year. I was pleasantly surprised by those staff members who appreciated the philosophy behind the quote and who are already thinking about how they can continue to embrace growth within their current assignment and also what opportunities are available to them if they choose to explore another teaching assignment. As with any message shared, there were also some staff members who became quite anxious about the potential for a change in assignment for next year. I was left wondering how best to support those educators who need the confidence to know that they may be just as successful in a junior classroom as in a primary classroom. After all, we are “teachers”, not “grade three teachers”. 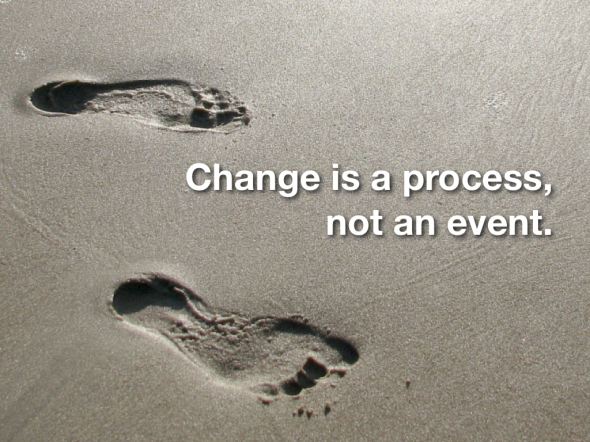 As teachers, how do we model “embracing change” for our students? As administrators how do we support our teachers and encourage them to continue to grow and improve their practice, when change is not an option.